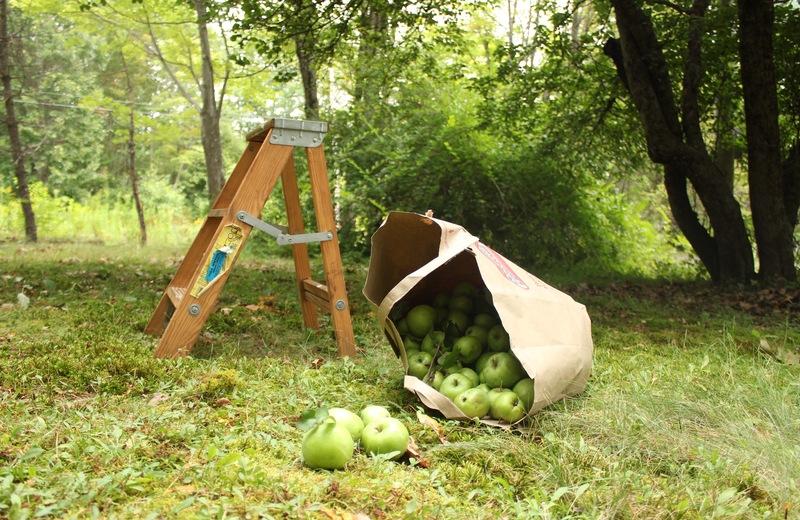 If you need something to do with all the heritage apples that are falling all over the Catskills now, here’s a recipe passed on to me by Tamara Ehlin of the Forsyth BnB in Kingston. 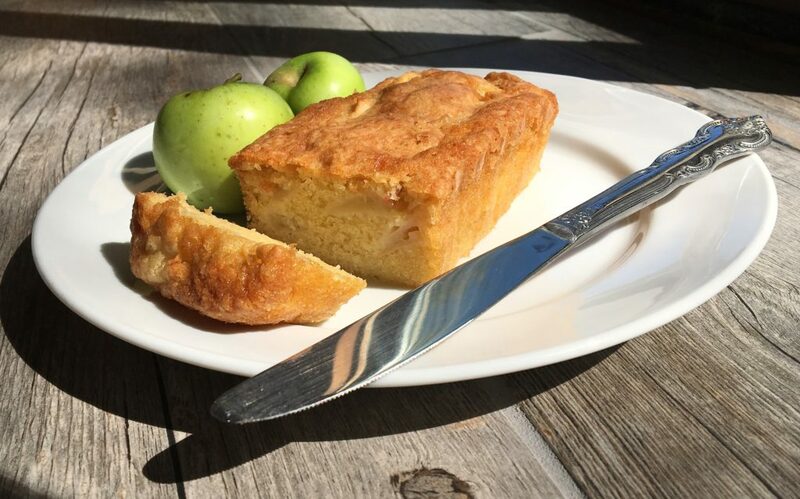 This recipe is gorgeous because a sugary, chewy crust forms on the top of the cake and gradually softens all the way down to its fruity bottom.This cake is as wild as our apples. However you add the fruit, it still ends up at the base of the cake. I didn’t put enough apples in the little loaf pictured above because whenever you do this recipe it will feel like you’re putting too much fruit in. The batter barely covers the apples and you have to press the mixture down before you put it in the oven. I made a larger cake by doubling the ingredients and it came out perfectly with all the fruit sunk to the bottom. This recipe is good for soft and stone fruit too. This entry was posted in Food and tagged Cake Recipe, Catskill Mountains, Catskills, Catskills Foodie, Catskills Photography, Country Living, Food Blogger, Foodie, Fruit Cake Recipe, I love NY, Upstate NY on September 23, 2017 by JNUrbanski.